May 20, 2017 Archives - Clarksville Sports Network - Clarksville Tennessee's most trusted source for sports, including Austin Peay State University. Sacramento, CA – It was a new day but the same story for the Sounds on their trip through California. 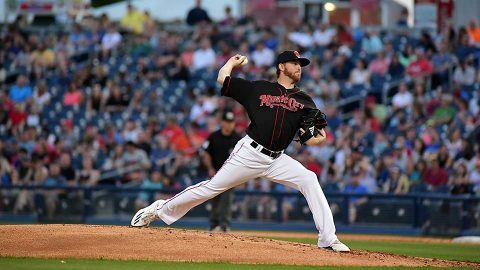 The Sounds powered their way to another victory, this time a 6-0 victory over the Sacramento River Cats on the back of a pair of home runs to continue their explosive month of May. In the month of May the Sounds (19-19) have cranked 35 home runs, which is more than any team in professional baseball. Through the first five games of their current eight-game road trip the Sounds have launched 13 long balls. Northern California native, Paul Blackburn (2-4, 3.89) posted his best outing of the season Friday night.